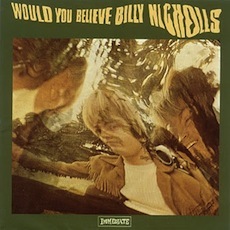 Several years ago our pal Duke, over at You Set The Scene, turned us on to the unearthed/reissued Billy Nicholls LP Would You Believe. With the caveat that, unlike so many other ‘lost masterpieces,’ this was an album that actually delivered on the promise of the hyperbole. I took note and he was right. Hailed as “the British answer to Pet Sounds,” Would You Believe, features members of the Small Faces and is indeed more than a shade indebted to the alchemy that Brian Wilson and Van Dyke Parks cooked up 5,000 miles away in southern California. Not sure if it’s only me, but the file won’t play. thanks for the shout out. always glad when i can turn you on to some music. Stellar Record! well worth the 40 dollar vinyl reissue if you can find it!